Pharmaceutical Validation Guide from C.H.I.P.S. 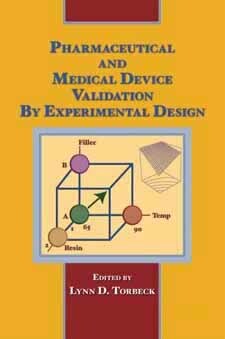 Pharmaceutical and Medical Device Validation by Experimental Design demonstrates how designed experiments are the most scientific, efficient, and cost effective methods of data collection for validation in a laboratory setting. and step-by-step procols and procedures.